If the purpose of a Target Operating Model (TOM) is to enable an organisation to travel from the current state to an envisaged future state, and as effectively, efficiently and smoothly as possible – then it makes sense that the TOM should be ‘built to be used’. In other words, producing a TOM that is fit-for-purpose, accessible, user-friendly and universally understood by everyone. Otherwise, what’s the point? 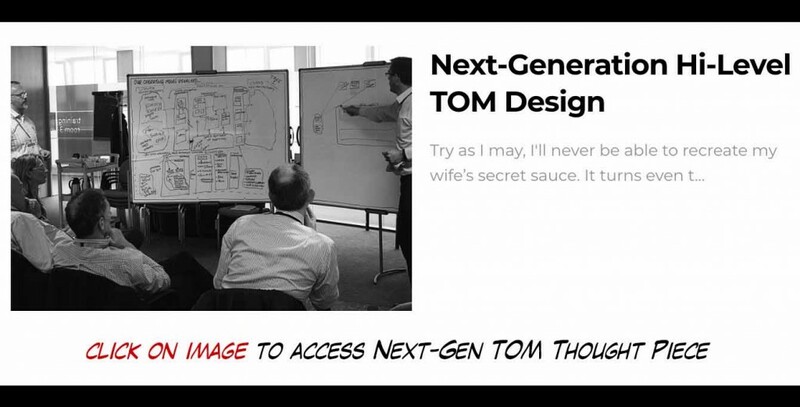 Throughout this article, I will attempt to layout the ‘secret sauce’ formula that my team and I use to help our clients visualise, design, build and implement their own next-generation TOM’s.